“Groundfish in the US are caught as part of a multi-species fishery. Out of the 56 species/gear combinations, only 4 were found to be unsustainable: Kelp greenling from Oregon caught by handline, canary rockfish caught by handline, black and yellow rockfish from California caught by handline, and grass rockfish from California caught by handline. These species are covered in separate reports. Rockfish landings reached historically low levels in the early 2000’s. Recently, management has rebuilt the overfished stocks and 6 stocks are classified as rebuilding. In 2009, the value of the fishery was $66.1 million. Groundfish in British Columbia are caught as part of a multi-species fishery. Out of the 68 species/gear combinations, 16 were found to be sustainable. In 2012, BC landed $104.2 million worth of non-hake groundfish. Pacific halibut, sablefish and rockfish account for 83% of the value of the landings. A large proportion of the groundfish are exported to countries including the US, Japan, the UK and Russia. Management of BC groundfish is moderately effective as management measures such as reference points and harvest control rules exist. However these measures are not applied to all stocks, and are not always supported by scientific research. The Committee on the Status of Endangered Wildlife In Canada (COSEWIC) has identified several groundfish of threatened status, although recovery of these species is challenging given limited data. Fisheries officers are highly effective in enforcing management regulations such as total allowable catch. Vessels are monitored with 100% at-sea, 100% dockside and 100% observer coverage. According to recent stock assessment updates, the population health and fishing mortality of many BC groundfish is healthy (although some BC groundfish are still lacking up-to-date stock assessments). There are some uncertainties associated with the interpretation of the data. Groundfish in Alaska are caught as part of a multi-species fishery. Much information is available on stock status, and data indicates that populations are healthy. The groundfish are fished at a sustainable rate. Management of BC groundfish is moderately effective as management measures such as reference points and harvest control rules exist. However these measures are not applied to all stocks, and are not always supported by scientific research. The Committee on the Status of Endangered Wildlife In Canada (COSEWIC) has identified several groundfish of threatened status, although recovery of these species is challenging given limited data. Fisheries officers are highly effective in enforcing management regulations such as total allowable catch. Vessels are monitored with 100% at-sea, 100% dockside and 100% observer coverage. According to recent stock assessment updates, the population health and fishing mortality of many BC groundfish is healthy (although some BC groundfish are still lacking up-to-date stock assessments). Groundfish in the US are caught as part of a multi-species fishery. Out of the 56 species/gear combinations, only 4 were found to be unsustainable: Kelp greenling from Oregon caught by handline, black and yellow rockfish from California caught by handline, canary rockfish caught by handline, and grass rockfish from California caught by handline. Rockfish landings reached historically low levels in the early 2000’s. Recently, management has rebuilt the overfished stocks and 6 stocks are classified as rebuilding. In 2009, the value of the fishery was $66.1 million. Rockfish are distributed throughout the west coast, and sablefish are mostly exported to Japan. Management of a multi-species fishery can be challenging. However in this case, management is strong, as regular stock-assessments are performed, and regulations exist regarding biological reference points, harvest control rules, and incorporation of uncertainty when determining catch limits. 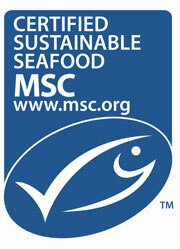 In 2011, individual fishing quotas (IFQs) were established which requires 100% at-sea and dockside monitoring. Recent improvements in information availability on groundfish stocks have shown a general trend of increasing abundance and rebuilding stocks. No stock assessments are performed; grass rockfish are of unknown abundance and fishing mortality rate. Recent catch data suggests that the population is not overfished, but uncertainties remain. The use of handlines is generally a selective fishing method which does not make contact with the seabed and limits coral and sponge damage. However, the grass rockfish fishery in California causes the bycatch of California sheephead whose stock status and fishing mortality rate are of high concern. 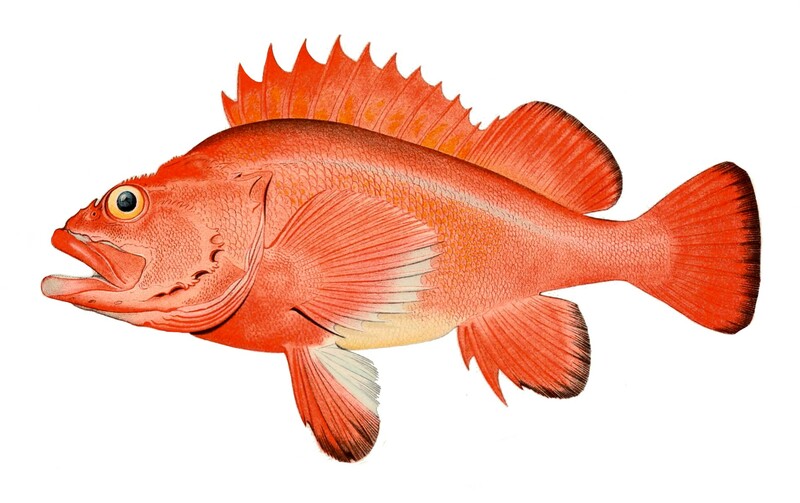 Grass rockfish are not classified as species of exceptional ecological importance, and a fishery ecosystem plan is currently being developed for the groundfish fishery. According to observer data, fisheries using handlines were not found to cause coral or sponge bycatch. Recent improvements in information availability on groundfish stocks have shown a general trend of increasing abundance and rebuilding stocks. Black and yellow rockfish have life history characteristics that make them moderately vulnerable to fishing pressure. No stock assessments are performed; black and yellow rockfish are of unknown abundance and fishing mortality rate. The use of handlines is generally a selective fishing method which does not make contact with the seabed and limits coral and sponge damage. However, the black and yellow rockfish fishery in California causes the bycatch of California sheephead whose stock status and fishing mortality rate are of high concern. Black and yellow rockfish are not classified as species of exceptional ecological importance, and a fishery ecosystem plan is currently being developed for the groundfish fishery. According to observer data, fisheries using handlines were not found to cause coral or sponge bycatch.